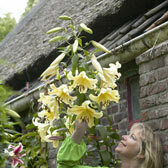 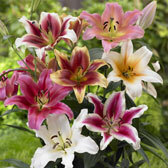 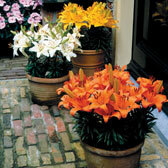 Lilium/Lilies are ideal for large, showy displays and many are fragrant varieties. 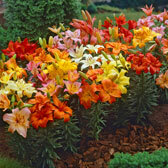 Easy to grow in well drained soil, best planted from October to April/May. 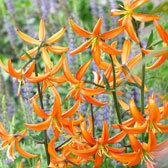 Lilies will naturalise each year for continued pleasure. 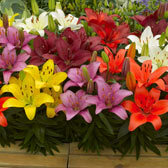 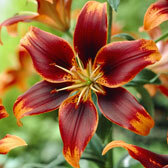 All Lilies are supplied as bulbs, ready to plant on arrival. 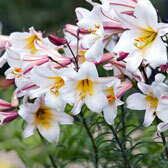 Summer flowering Lily bulbs are one of the best sights in the garden, a real favourite with the British public.